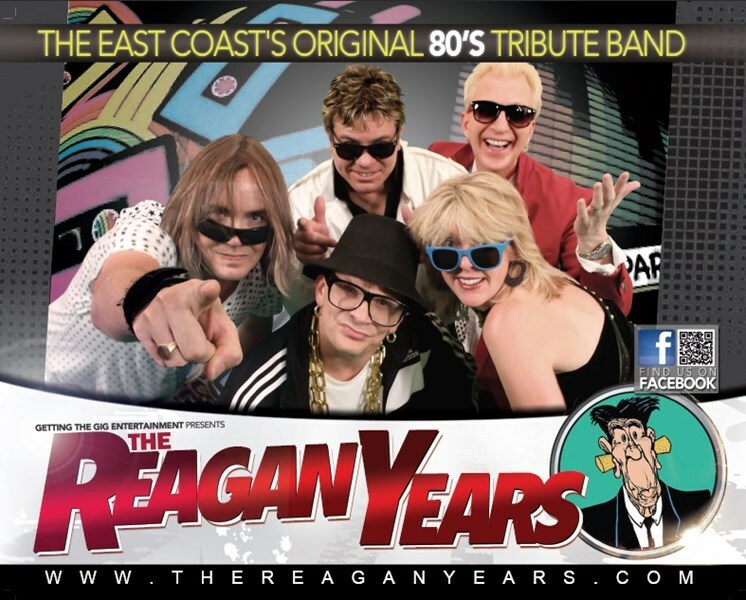 The Reagan Years is the East Coast's Original 80's tribute band (established 1996). This group has been headlining events to sold out crowds from the Atlantic Ocean to Hawaii and outside of the USA. Five talented musicians (both male and female lead voice) with five diverse vocal abilities enables this group to replicate uncanny versions of the Pop, New Wave, Heavy Metal and Rock hits of the Video Era. Imagine hits by A-Ha, Bon Jovi, Madonna, Journey, Frankie Goes To Hollywood, Scorpions, Motley Crue, Duran Duran, Joan Jett, Ramones, The Tubes, ToTo, G'N'R, Whitesnake, The Police, Def Leppard, Modern English, Go-Go's, ZZ-Top. Every song is a huge hit and you will want to sing along with every word! The band's stage performance is best of breed! While often imitated, the formula for The Reagan Years has never been duplicated and now that professionalism is available for multi-decade engagements. Available for Corporate Events, Private Parties, Wedding Receptions. This band performs 80-90 shows per year! - Headline artist for City Of Ocean City, Maryland's Independence Day concert on the beach. - entertained over 8000 for the Official Tailgate Party of the 2010 Military Bowl held at the DC Armory. 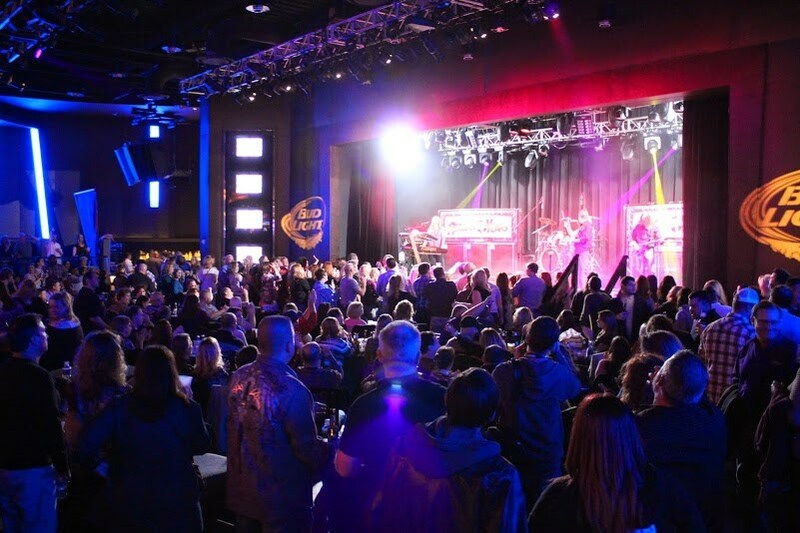 - headline many special events including Big Night Baltimore, Harborplace's 30th Anniversary, and Frederick MD's 4th On The Farm Independence Day celebration with attendance approaching 11,000. 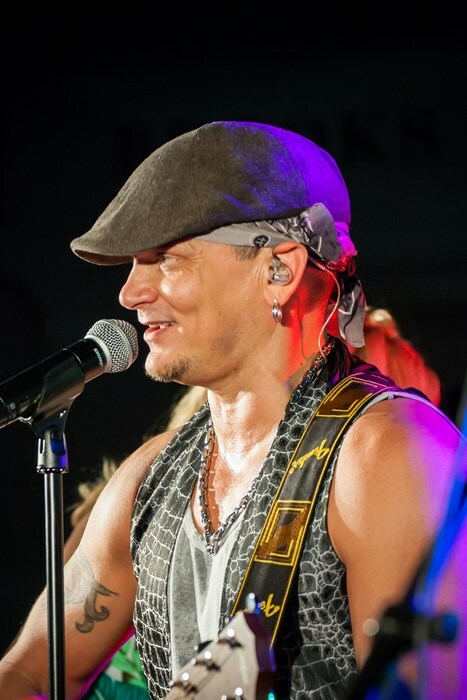 - members of The Reagan Years were the back up band for Eric Martin of MR BIG summer of 2010 and 2011. - The Reagan Years has opened for Psychedelic Furs, Violent Femmes, KIX, The Smithereens, Starship and Uncle Kracker. Want more than 80's music? No problem! The Mixx is the alter ego of the wildly successful 80's tribute band The Reagan Years. The same 5 members perform hits from Elvis to Katy Perry! Please note The Reagan Years will also travel to Glen Burnie, Linthicum Heights, Riderwood, Towson, Brooklandville, Elkridge, Hanover, Chase, Ellicott City, Fort Howard, Garrison, Harmans, Lutherville Timonium, Stevenson, Glen Arm, Pasadena, Perry Hall, Randallstown, Severn, Cockeysville Hunt Valley, Columbia, Long Green, White Marsh, Fort George G Meade, Jessup, Millersville, Owings Mills, Woodstock, Annapolis Junction, Phoenix.